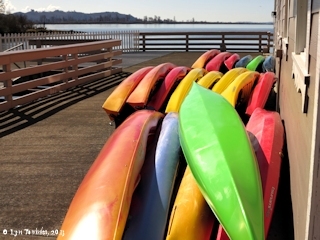 Click image to enlarge Skamokawa Landing, Washington, as seen from beach at Skamokawa Vista Park. 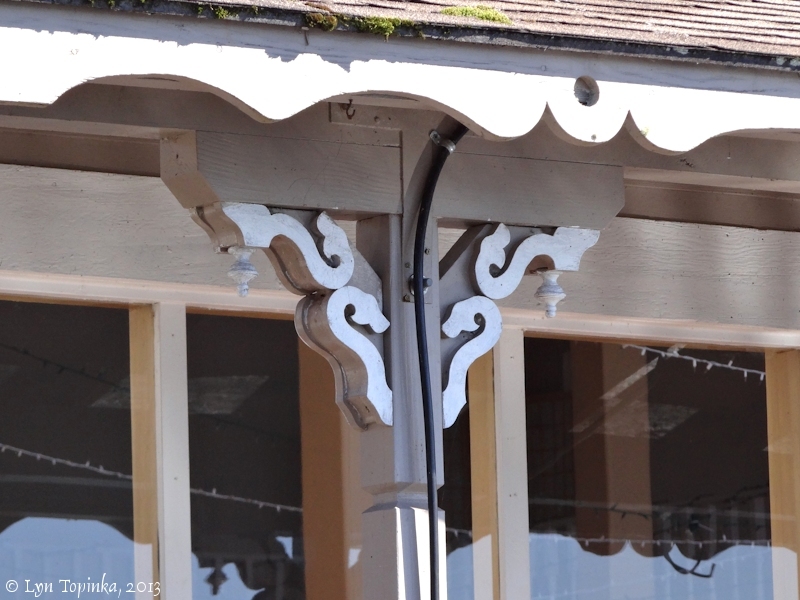 Image taken March 4, 2013. Skamokawa Landing is the site of a former steamboat landing located at the junction of Steamboat Slough with Skamokawa Creek and the Columbia River, at Skamokawa, Washington. The competion of Washington Highway 4 in the 1930s made the steamboat landing obsolete. The historic building at the Skamokawa Landing site dates from 1911 and is now "The Inn at Skamokawa Landing". 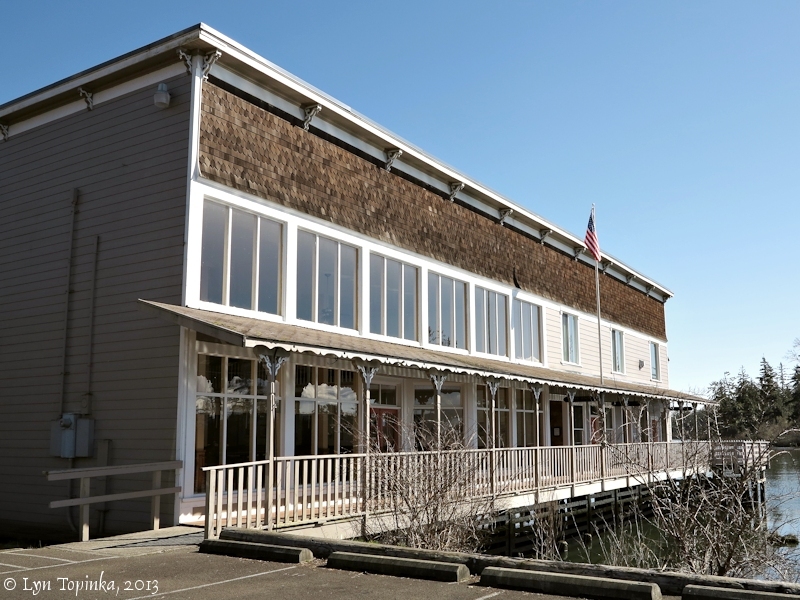 In its heyday as a steamboat landing, the building housed a general store, theater and dance hall, and warehouse areas. 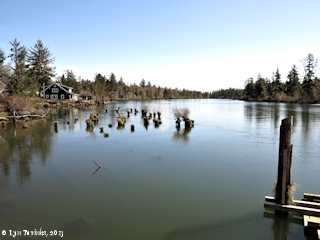 Good views of Price Island and Steamboat Slough can be had upstream, and Jim Crow Point and Three Tree Point can be had looking downstream. 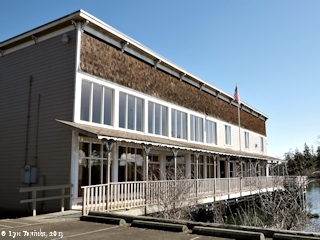 Today's Inn at Skamokawa Landing" is within the "Skamokawa Historic District", listed in 1976 on the National Register of Historic Places. 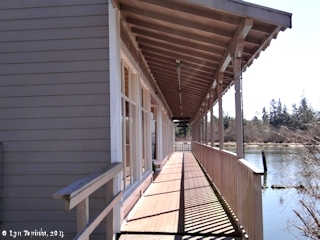 Click image to enlarge Detail, "The Inn at Skamokawa Landing", Skamokawa, Washington. Image taken March 8, 2013. 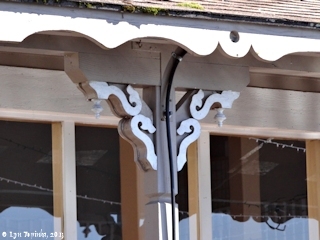 Click image to enlarge Porch, "The Inn at Skamokawa Landing", Skamokawa, Washington. Image taken March 8, 2013. 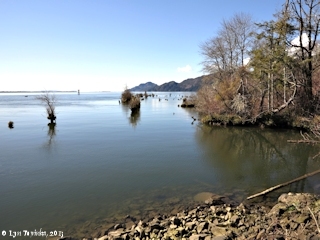 Click image to enlarge Looking downstream from Skamokawa Landing at the Columbia River. 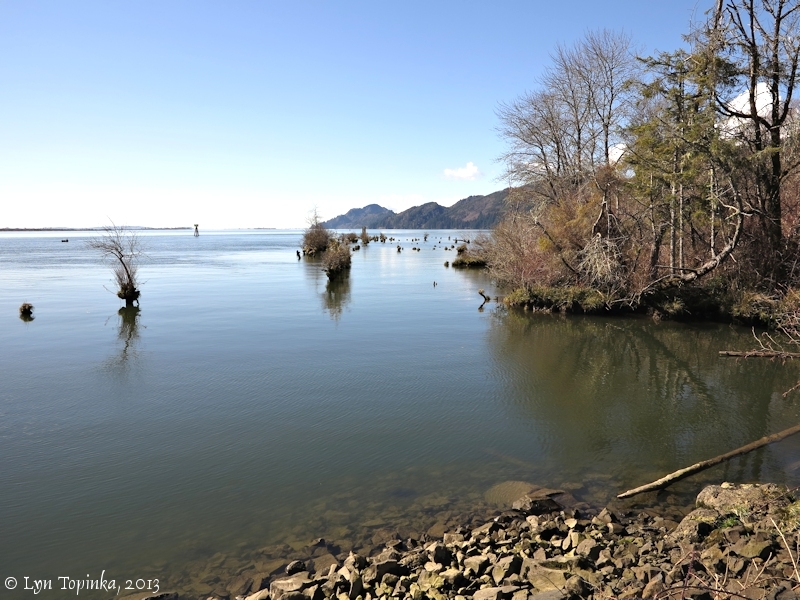 View towards piling remnants of the steamboat landing, with Jim Crow Point and Three Tree Point in the background. Image taken April 9, 2004. Click image to enlarge Looking downstream from Skamokawa Landing at the Columbia River. View towards piling remnants of the steamboat landing, with Jim Crow Point and Three Tree Point in the background. Image taken March 8, 2013. 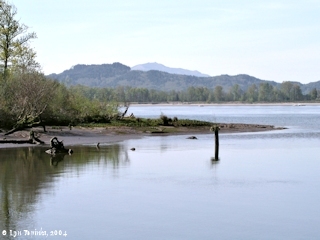 Click image to enlarge Looking towards the Columbia River and the downstream tip of Price Island. View from Skamokawa Landing. Image taken April 9, 2004. Click image to enlarge Looking upstream from Skamokawa Landing at Steamboat Slough. 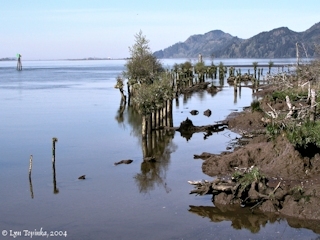 View looking up Steamboat Slough with Price Island on the right. 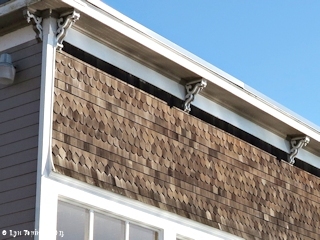 Image taken March 8, 2013.